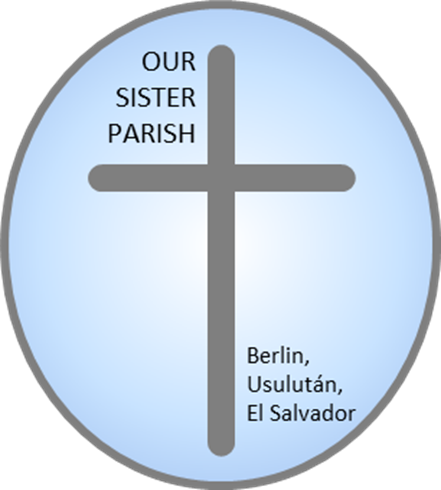 Everyone at Our Sister Parish (Our Sister Parish Board, The Pastoral Team in Berlin, El Salvador, and the impoverished citizens from the cantons around Berlin) wants to thank you for your continued prayers and support this year. As you know there are many special projects that churches and individuals support enthusiastically throughout the year with designated donations. However, there are other administrative expenses in the general running of the mission, such as auto maintenance, computer/printer needs, housing and travel expenses, and other costs that we fund with undesignated monies. Your undesignated financial support is vital to the continued success of our mission as Compañeros and the Pastoral Team strive to make a difference in the lives of the people of Berlin and the surrounding cantons. Thanks for your prayers and support. Your financial donations provide water for the thirsty, economic and educational opportunities, places for prayer and community gathering, medical assistance and health education and more. Thanks to you, life in the cantons is improving little by little and there is hope for a better future. Make your tax-deductible donation to the mission online. You may use either your credit card or a PayPal account.